The inspection report is easy to read and comes with pictures identifying any defects that are found and a recommendation for repairs. 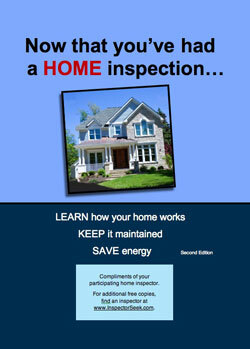 To help you long after the home inspection, you will get Monthly Maintenance Tips & a free 116 page book: Now that you've had a HOME inspection. This book is very informative with lot's of illustrations to help you maintain your home and get the best out of your purchase.